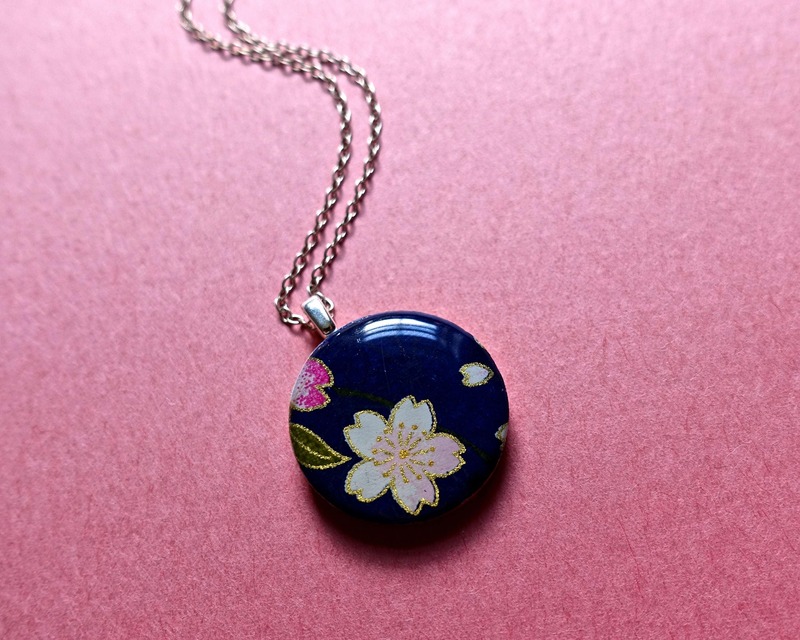 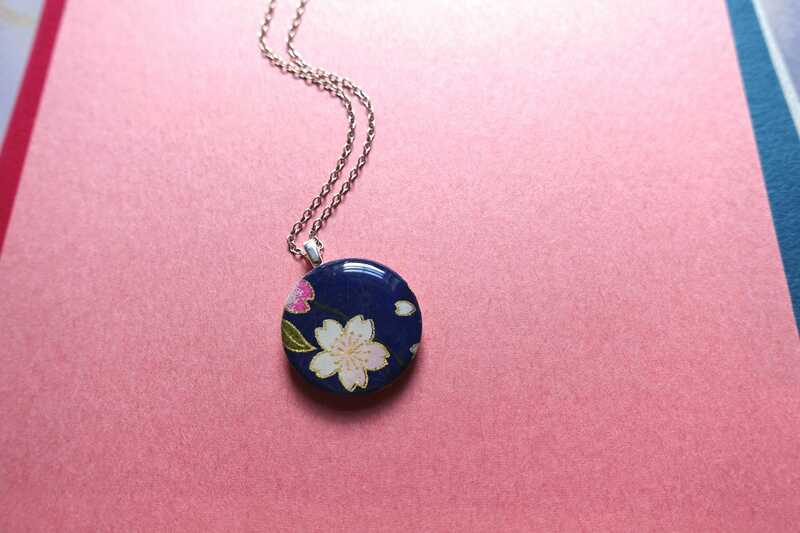 1-inch circle pendant (2.54 cm), navy with a cherry blossom design. 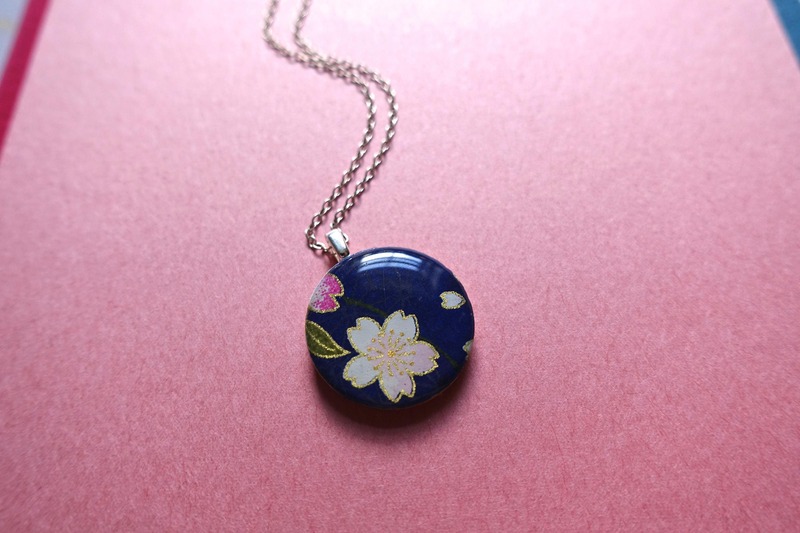 Made from Japanese paper, resin, and wood. 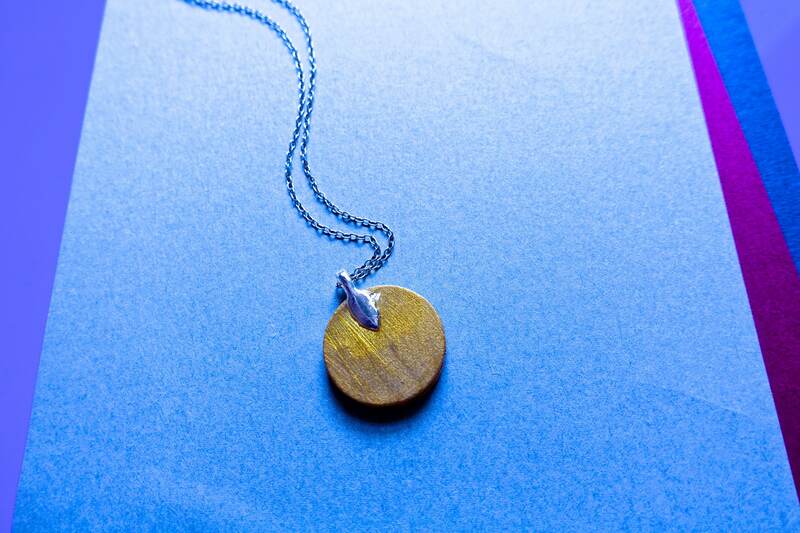 Choose whether you would like the pendant ONLY (without the chain - $12), or with the 20-inch (50.4 cm) sterling silver chain ($35).